Two fantastic new books from the perspicacious young writer Valeria Luiselli ask vital questions about what lies between life’s heightened points and may be the books we need in an epoch where social media hopes to plunder what remains of the private, uncastigated life. On February 9, 1994, the Surrealist poet Gherasim Luca threw himself off a bridge. He was eighty years old and had lived in Paris for forty-two years without padding his pockets with the appropriate government papers. Shocked scholars searching for insights into Luca’s suicide have scoured through his book La Mort morte, seeing the five fictitious suicide attempts and fabulated notes that Luca composed in the mid-1940s as the psychoanalytic smoking gun revealing his dark and inexorable trajectory. 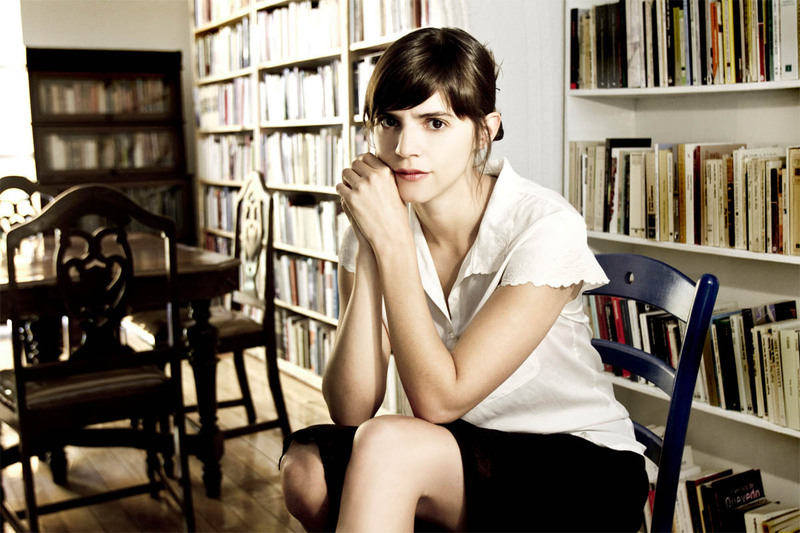 But in her essay “Stuttering Cities,” the perspicacious young writer Valeria Luiselli doesn’t view Luca through that cheap preordained lens. She has looked to Luca’s “Passionnément” — a staccato poem powered by a bilabial stutter that is strangely pleasurable if you listen to it (or you have the guts to recite it, which I recommend even if your French is atrocious), and sees the insight not so much in the mood, but the sputtering expression. For Luiselli, it is that liminal space between the words (“pas pas paspaspas pas”) that reveals the human, uncovering territory closely tied in feel and form to a baby joyfully exclaiming “mama” or “papa” for the first time, anchoring us to some lifelong continuity, and becoming the ultimate measure of the silence we all endure to some degree while occupying this planet. If Luca’s poem represents (as Luiselli sees it) “the downward plunge of language toward that silence,” then the liminal landscape of words and cities (or those unbridged stretches on the Seine) may be the ideal place to direct our empathy and our attentions. By now, just about every literary person has been forced to contend in some way with the first half of that six book, 3,600 page, Norwegian confessional sprawl professing to be the 21st century answer to Proust. But text that persuades us to slow down and examine our zealous reading obligations, whether print or digital, is becoming increasingly rare. We are ever more in need of it in this epoch where social media hopes to plunder what remains of the private, uncastigated life. In “Other Rooms,” Luiselli speaks to the impossibility “for anyone to commit a spectacular crime in his living room or to conduct a good affair (dirty, delectable, and detectable).” Liminal obliquity may be the only safeguard we have against such developments. Fiction is fated to increasingly address the surveillance state and its willing smartphone-entranced executioners. Novels that compel us to question our reliance on a landscape artificially punctuated by alerts and notifications could break us out of these reluctant habits. Some of Luiselli’s subtleties may be lost in translation or carefully engineered to protect the reader from falling into obsessive traps. There is an editor named White who emerges in Faces in the Crowd. The translator hopes to persuade White to publish Owen. Ruminating upon the blanks between spaces, I was tempted to envisage him as Blanco in Spanish, even though he is established as a gringo (and let us not forget that gringo‘s etymology originates with one who cannot speak Castilian fluently or naturally), especially when White leaves a note to the translator: “Bring me something that really can be translated into English.” But would such an inference cause me to become obsessed with an altogether different white whale? Luiselli includes a rare book printer named Moby, whose bailiwick is publishing “Ohio poets of the twenties and thirties,” no matter how mediocre. If this novel is not fragmented, as its protagonist promises, why does it swim towards the driftwood of broken books and forgotten poets? I haven’t talked to my husband for over a week….I sense him getting into the bed. He smells bad. He smells of the street, restaurant. He smells of people. Throughout the novel, in an almost inverted Lautréamont narrative approach, we witness this husband peering over the translator’s manuscript in progress — the very book we’re reading — offering joy, repellence, suspicion, and regrets. Eventually, the husband abandons his vicarious interest. The translator has abandoned her real husband, an architect who designs variations of the same house all over the world, for the Owen-like poet within her mind, a lonely ghost drifting over the landscape of books and cities. One of the reasons that Gherasim Luca killed himself was because the Parisian authorities expelled him from his apartment for “hygiene reasons.” There’s good reason to see the translator’s husband as a Luca offshoot or possibly some human answer to a Vico cycle (“Pa-pa, says the baby,” writes the translator late in Faces in the Crowd, calling back to Luca’s “Passionnément”). Maybe true freedom and happiness emerges from seeing the world as a liminal landscape in which the only points that matter are our first words and our last.